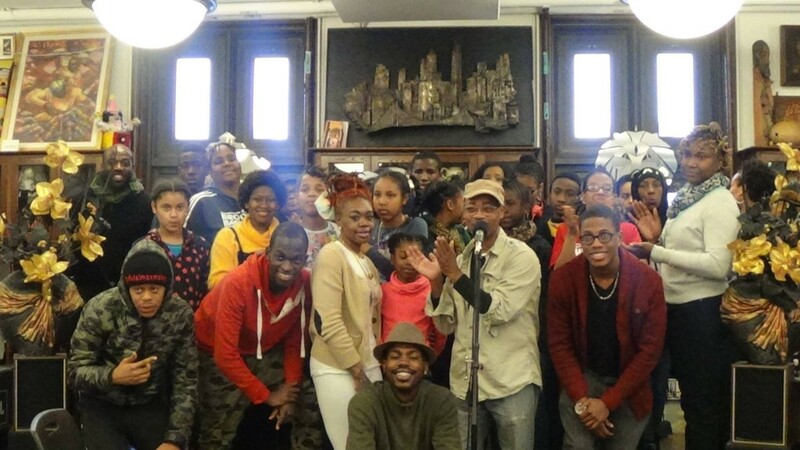 Jan 24, 2015 -Saturday with reports of one to two inches of snow falling, Green Earth Poets Cafe’s “Our youth are slamming” and “TEEN Spoken Fiyah” youth poetry workshops had a phenomenal turnout. More than 35 youth ages 8-19, including a few parents and poet/mentors came to work with our youth to help them develop in reading, creative writing, public speaking, and spoken word poetry performance. Green Earth Poets Cafe holds these poetry youth workshops at the Brownsville Heritage House at 581 Mother Gaston Blvd, Brooklyn, NY 11213 ,(2nd floor of the Stone Ave public library) every two weeks. The next scheduled workshop is Feb 7, 2015 from 12:00 noon to 2:00pm. Jan 18, 2015 Green Earth Poets Cafe was honored to be invited to perform for Jesse Hamilton III the newly elected NYS Senator for the 20th SD from Brooklyn, New York. His district stretches from Brownsville, Crown Heights, Gowanas, Lefferts, Park Slope, Prospect Heights, and Sunset Park. Green Earth Poets Cafe was represented by Poet Quindell Evans and Relle the Poet. 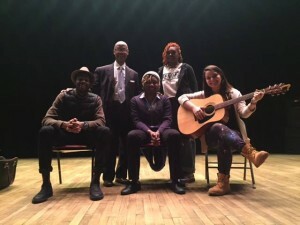 Joining them was songstress Rebecca Sol who accompanied by her guitar performed for some of the most important elected officials in the City and State of New York. Among these officials were Mayor Bill DeBlasio, NYS Senator Jesse Hamilton III, Senator Andrea Stewart-Cousins, NYS Attorney General Eric Schneiderman, NYC Comptroller Scott Stringer, Brooklyn Borough President Eric Adams, U.S.Senator Charles Schumer, Assembly woman Latrice Walker, Assemblyman Nick Perry, NYC Councilwoman Laurie Cumbo, NYC Council Speaker Melissa Mark-Viverito. There were many more pubic officials and performers too many to name here. The event was a spectacular event and was one of the greatest moments for Green Earth Poets Cafe. Belissa Escobedo, Rhiannon McGavin, and Zariya Allen are three young women who are determined to change the world, one word at a time. 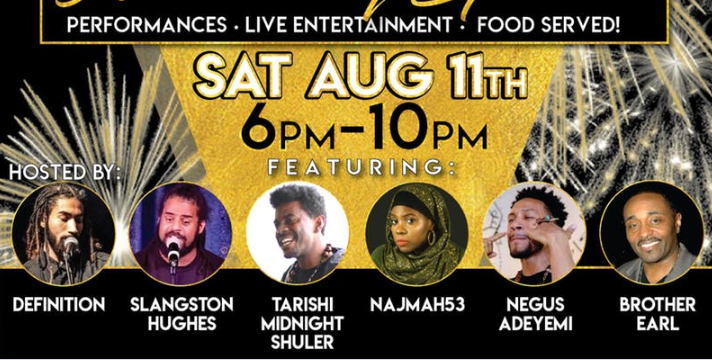 They are part of the non-profit organization Get Lit, the leading non-profit presenter of literary performance, education, and teen poetry programs in Southern California. Get Lit uses the performance of classic and spoken word poetry to increase teen literacy and has allowed Belissa, Rhiannon and Zariya to deliver their own powerful, poetic message to the masses. They even delivered it to a sell-out crowd of over 17,000 at the Hollywood Bowl opening for John Legend — and are now perform “Somewhere in America” on The Queen Latifah Show.